We get muscle fatigue in sport. At the end of a hard exercise routine and you can hardly push your body to do any more work. Your muscles are suffering from fatigue, and you are ready to give up. Well, this happens to your brain too. Ego depletion refers to the idea that your willpower or ability to make good decisions comes from a limited amount of mental resources. It’s different from ordinary physical fatigue — you’re not consciously aware of being tired — but you’re low on mental energy. The more choices you make throughout the day, the harder each one becomes for your brain, and eventually it takes shortcuts, usually in either of two very different ways. One shortcut is to become reckless: it acts impulsively instead of using energy to think through the consequences. The other shortcut is the ultimate energy saving tactic: do nothing. Instead of agonizing over decisions, avoid any choice. Obviously avoiding a decision creates bigger problems in the long run, but for the moment, it eases the mental strain. A recent study exposing the dangers of decision fatigue was conducted by Jonathan Levav of Stanford and Shai Danziger of Ben-Gurion University. Three prisoners who has each served 1/3 of their sentence were put in front of the same judge during the course of one day each seeking parole. The prisoner who saw the judge first thing in the morning was granted freedom whilst the others, seen later in the day, were denied. After reviewing over 1000 of these cases, the study unearthed that 70% of prisoners seen in the morning were granted freedom compared with those who appeared late in the day were paroled less than 10 percent of the time. 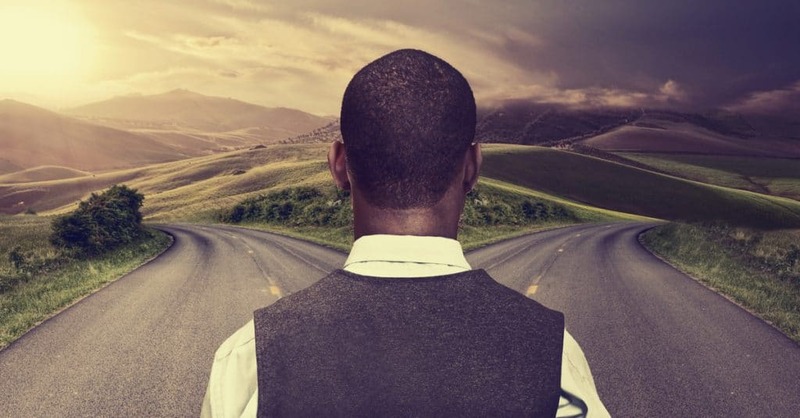 Now we understand that decision fatigue can plague every decision, even those making serious decisions, about the liberty of another cannot avoid it, here are some tips to make you more self-aware about when it could be impacting your decision making ability. As we learnt from the above study, after a day of decision making, you are less likely to make a competent decision at the end of the day with low mental resources, so don't put yourself in the position where you have to. This goes for route to work, what to eat for lunch and even what to wear to the work event. All of these things if left last minute can make us stressed, over eat or late so if you know you have to make a decision during a day and you are less likely to be able to spend much time on it, prepare the night before instead of reaching for the chips at lunch! If you are faced with too many decisions at once narrow it down to three. This will help to prevent you from becoming overwhelmed with all of the information in front of you. If you feel you can't make a decision with the three options you have chosen, then add another three, just always make sure you are only considering three things are once to not be overwhelmed and end up making no decision because of stress. When you are hungry, your stomach produces a hormone called ghrelin, this negatively impacts decision making.This hormone decreases impulse control and increases the chances of making a bad decision. By studying rats, researchers found that, similar to humans, rodents find it difficult to resist a quick temptation when they have increased levels of gherkin. So, make sure that you are not making decisions when hungry, especially if it is later in the day and you are already prone to decision fatigue. Simply being aware of decision fatigue, keeps you on track to make better decisions and avoid any consequences of irrational choices.